Patrick Boissy currently lives in Sherbrooke, Québec, Canada and holds appointments as a full professor at the Orthopaedic service, Department of surgery, Faculty of Medicine and Health Sciences at Université de Sherbrooke and as a researcher in the Research Centre on Aging, CIUSSS Estrie CHUS. He has an academic background in kinesiology (BSc and MSc from Université de Sherbrooke 1988-1993) with a PhD in biomedical sciences (rehabilitation) from Université de Montréal (1998). 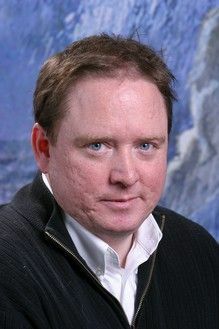 After a postdoctoral fellowship in biomechanics at the Neuromuscular Research Centre at Boston University (1999-2002), he started his academic career at Université de Sherbrooke. His current research is focused on the development of outcome measures based on wearable sensors for assessing community mobility in older adults and the application of in-home telerehabilitation. Through user-centered design and mixed method research with a strong focus on usability testing, he has been involved in the development, deployment and evaluation of multiple technologies in telecare, remote monitoring and medical simulation. He has recognized expertise and experience in usability engineering and has chaired the Human Factors Special Interest Group of the American Telemedecine Association. He is currently associate editor for the Journal of Telemed and e-health, Health System Journal and a reviewer for numerous other international scientific journals. He is an active member of the reviewer college for the Canadian Institute for Health Research. He has authored more than 100 international publications, holds two patents and was funded as a research scholar by the Fond de la Recherche en Santé du Québec from 2004 to 2015.